Formation of gypsiferous crust in agriculture lands deters seedling emergence, which constitutes a major problem around the world. 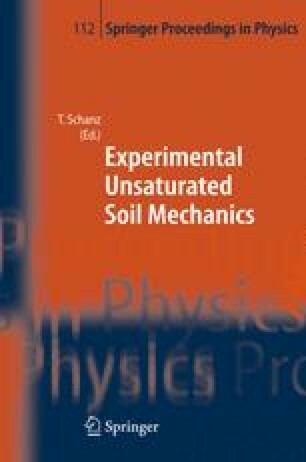 The objective of this study is to investigate the micro-morphology of gypsiferous crust and its influence on unsaturated soil behavior. Samples containing 47 % of gypsum were taken from Granada (North Syria), then left to dry under natural conditions. Undistributed soil samples (8×8 cm) of the crust and underlying soil material were taken in tins and impregnated with polyester resin. Thin sections were prepared, and examined with a petrographic microscope (Olympus) in plane and polarized light. The microstructure of these samples showed the distribution of soil materials and the types of pores. The crust consisted of clay, silt, calcite and gypsum attributed to the mechanical impact of raindrops. The main effect of raindrops on the soil surface layer was clogging the pores by means of the mentioned materials, which was the dominant mechanisms of crust formation. According to the structure of these soils, the infiltration rate reached a very low value and a remarkable increase in stiffness was observed.